The OHSAS (Occupational Health and Safety Management Systems) 18001 Certification standard deals with occupational health and safety. OHSAS 18001 Singapore is applicable to all businesses and organizations. Get OHSAS 18001 Certification in Singapore for optimal performance of your organisation’s health and safety system, by addressing issues such as injury prevention and defining clear employee responsibilities. OHSAS 18001 Certification demonstrations top commitment from the organization and management that they value employees’ health and safety in the workplace. In certain industries like construction, ship-building and oil and gas industries, OHSAS 18001 Certification is crucial or mandatory. 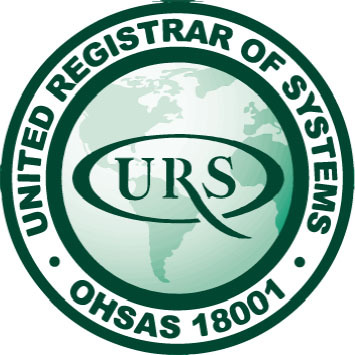 OHSAS 18001 Certification will enable Organisations to include URS and UKAS logos in their promotional activities. As OHSAS 18001 is a British Standard and not an ISO standard, ISO have plans to publish an ISO standard for health and safety – ISO 45001. The new ISO 45001 standard is set to be published by March 2017. From then, the future popularity of OHSAS 18001 may be affected. ISO 45001, which sets requirements for Occupational Health and Safety Management Systems. This standard, inspired by the well-known OHSAS 18001, is designed to help companies and organizations around the world ensure the health and safety of the people who work for them. If you implement the system and structure, and do it properly, you can reduce the risk of causing harm to the people working for you. According to ILO statistics published in 2014, around 2.3 million died as a result of work-related accidents or diseases (ill health) in 2013. These are shocking statistics and a heavy burden for society. Implementing a strong occupational health and safety management system helps organizations reduce accidents and ill health, avoid costly prosecutions, perhaps even reduce insurance costs, as well as create a culture of positivity in the organization when its people see that their needs are being taken into account.